Ryan Zinke has been confirmed as the incoming Secretary of Interior, a position that oversees management of a substantial amount of the nation’s public lands, wildlife and industrial development. Here’s what you should know about Zinke, the powers he’ll have, and the agencies he will lead. The U.S. Senate Has Confirmed Ryan Zinke As The Secretary Of The Interior. Former Montana Rep. Ryan Zinke will now be head of the department that is responsible for historic landmarks, national parks, wildlife refuges, endangered species conservation, and offshore territories of the outer continental shelf. “As long as he serves in this role, the people of the United States will look to Secretary Zinke to safeguard public lands, reject fossil fuel extraction that jeopardizes our climate, and protect imperiled wildlife,” Caputo said. “If he falls short of these responsibilities and puts our priceless natural heritage at risk, Earthjustice will hold him accountable.” Read full statement. Take action to Protect Bears Ears! 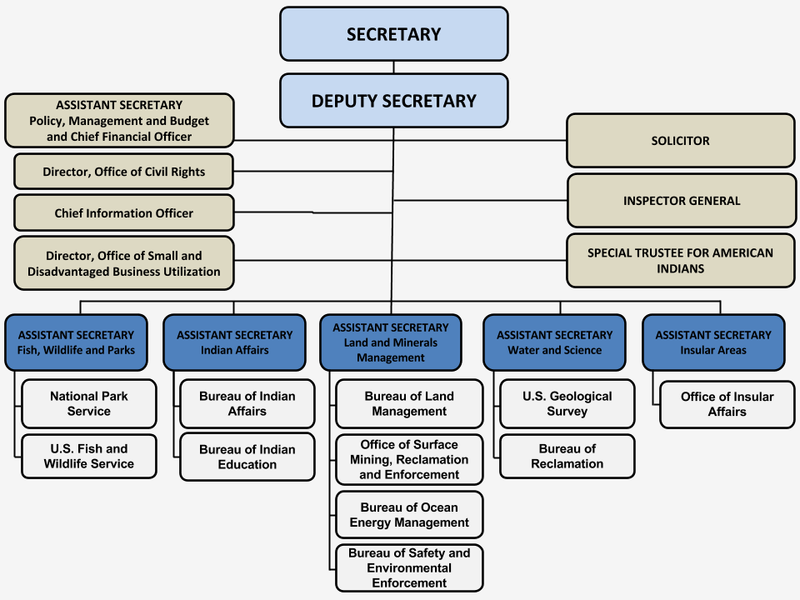 What is the Department of the Interior, and what does it do? The Department of the Interior is primarily responsible for most federal lands and natural resources held in the public trust. Through a dozen agencies under its command, the DOI administers national parks, wildlife refuges, historic landmarks, and offshore territories of the outer continental shelf. The Interior Department is charged with steering wide-ranging preservation efforts such as endangered species conservation. It also oversees resource development of the public lands it manages by industries such as the mining, fossil fuel, and timber industries. While the DOI is on the one hand charged with protecting wildlife and many of the country’s treasured natural features, it also oversees coal, oil, gas, and other resource development. This broad set of responsibilities means that Zinke, if confirmed as Secretary of the Interior, will strongly influence how the federal government protects the environment from industry interests. The Secretary of the Interior has no fixed term length and serves at the pleasure of the President. If you’ve ever been electrified by the sight of a wolf in the wild or a bald eagle soaring overhead, consider the role the Interior plays in protecting wildlife. The DOI, through the U.S. Fish and Wildlife Service, is tasked with ensuring the survival of thousands of endangered species, such as wolves and grizzly bears, and with safeguarding ecosystems that support wildlife. Even if you live nowhere near oil or gas drilling operations on public lands, climate change has the potential to impact everyone. Through its Bureau of Land Management, DOI regulates where and how industry may extract fossil fuels from public lands—including overseeing permits for surface mining or oil and gas drilling. In recent months, BLM crafted rules to rein in fracking, an environmentally questionable method of extracting gas or oil by thrusting sand and chemicals into shale rock. Since the burning of fossil fuels emits greenhouse gases, DOI’s policies on fracking and coal extraction are an indicator as to whether the federal government will take serious steps to address climate change or worsen its impacts. Through its Bureau of Ocean Energy Management, the DOI manages how and when the outer continental shelf—ocean waters surrounding U.S. coastlines—is used for oil and gas drilling. Offshore oil drilling can have a severe effect on coastal tourism, fishing, and wildlife—as exemplified during the Deepwater Horizon oil spill of 2010, which caused irreversible harm to the Gulf of Mexico. Under President Obama, BOEM in its most recent five-year plan removed the Arctic and Atlantic Oceans from being considered for leasing, and President Obama recently took steps to permanently protect important areas of the Arctic and Atlantic oceans from offshore drilling. The incoming administration may try to undermine the plan—and if confirmed as Secretary of the Interior, Zinke will play a key role. Through the Bureau of Indian Affairs, DOI sets the tone for the federal government’s relationships with Native American tribal governments. How does Earthjustice’s work relate to the Interior Department? Earthjustice frequently works with DOI agencies to ensure the federal government fulfills its role as a steward of America's natural resources and cultural heritage. When the government fails to follow national environmental laws, we file suit against the agencies that are responsible. Given the range of threats facing America’s natural resources, the decisions made by the incoming Secretary of the Interior could have far-reaching ramifications for generations to come. Ryan Zinke was first elected to the House of Representatives in 2014, representing Montana’s at-large Congressional district. He currently serves on the House Armed Services Committee and House Committee on Natural Resources. In 2008, Zinke was elected to the Montana State Senate, where he served until 2011. Zinke began his career as a Navy SEAL in 1985. He served for 23 years, until 2008. What is Zinke’s record on environmental protection? Zinke has consistently voted to weaken clean air standards, dismantle environmental regulations, and expand fossil fuel exploration on public lands. In 2015, although he did throw his support behind clean-energy measures, Congressman Zinke voted against the environment on every other major vote. The League of Conservation Voters awarded him an abysmal 3 percent score for his environmental voting record. Zinke has supported measures to increase production of dirty and climate-heating fossil fuels, reduce or eliminate public involvement in management of public lands, and eliminate protections for endangered species. Zinke has voiced support for fossil fuels as being integral to “energy independence.” In May 2016, he sponsored a bill to put a time limit on President Obama’s federal coal leasing moratorium. 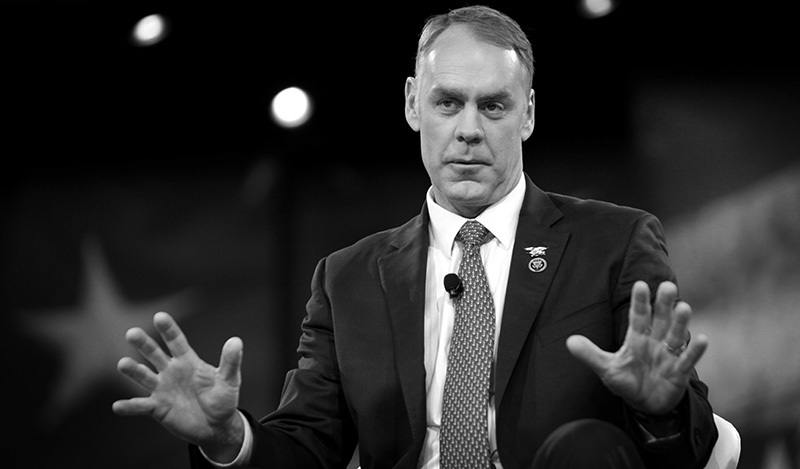 He was a supporter of the Keystone XL pipeline, and has labeled climate change “not a hoax, but … not proven science either.” Zinke has also supported increased drilling in environmentally sensitive areas such as the Arctic Ocean and Arctic National Wildlife Refuge. What is Earthjustice’s position on Zinke’s nomination? In an interview with Montana Public Radio, Caputo explained that while Zinke did take an encouraging stand against selling off public lands in the past, “the rest of his voting record in two years has been awful for the environment.” Unfortunately, even Zinke’s stance on public lands has since been called into question, after he recently backed a measure that would make it easier to transfer public lands to states. How have some of Earthjustice's partner and client groups responded to Zinke’s nomination? How many votes does it take to confirm the Secretary of the Interior? The Secretary of the Interior is confirmed by a simple majority of the full Senate. Did individuals have a voice in this process? Yes. Senators had a critical role in the Secretary of the Interior confirmation process. Send a letter to your senators today. You can also call your senators—at their offices in Washington, D.C., and at their local district offices—to voice your opinion on Zinke’s nomination. Call the U.S. Capitol switchboard at (202) 224-3121, and asked to be connected to your senator's office. Remind your senators that the Secretary of the Interior plays a vital role in safeguarding America’s natural treasures, and ask them to hold Zinke accountable for upholding the strong environmental laws that enable us to preserve and protect public lands, oceans and wildlife.